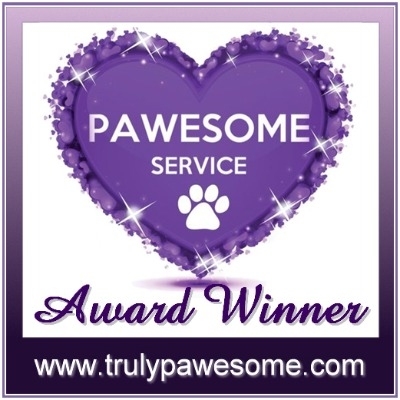 Twelve Pawesome Services Award Window Clings - single sided clings approx. 13cm square. Price paid includes a £1.30 deduction for free postage.